Home / Uncategories / Is Cloud Telephony Useful For Every Business? 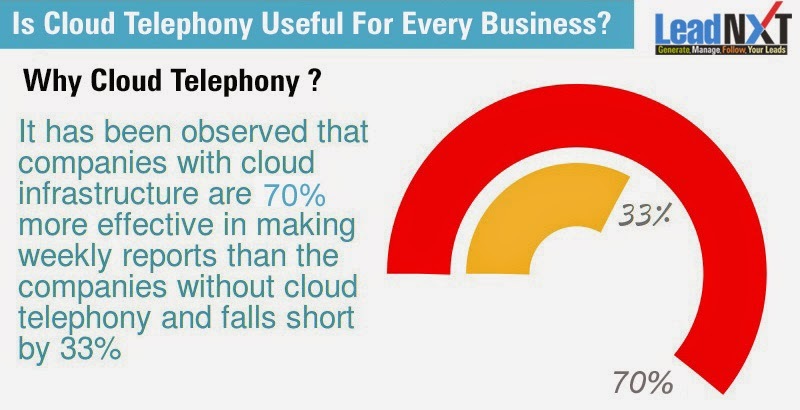 Is Cloud Telephony Useful For Every Business? As every industry have their customers, who are acquired and maintained, through phone calls. In such cases every interaction is counted important to ensure good customer service. So, they need an upgraded version for their business communication needs. Now every type or size of company is moving to latest communication solutions. Web Based Cloud Telephony is a one stop solution for every business communication needs problem and this is why it has turned out to be the preferred cloud telephony technology for the companies, globally. Well, cloud based telephony services, provides a wide range solutions to maintain a company's customers list, and it is seen as the future of all companies business telephony services all around the world. Companies are opting for unified communication to meet requirements of every customer and want to integrate the various communication channels on a single unified platform, that delivers a real impact in the customer service. Cloud based telephone solutions are easier to imply, handle and manage at a low maintenance costs, as a result it decreases the telephony costs of any business. Companies who want to be in touch with their customers are in favour of cloud telephony service. Communication is no longer limited to making or receiving calls or a voicemail, it is all about keeping track of customer calls on a single platform. Cloud telephony has been created to increase company's profit and meet the business communication needs of the companies. Great Service to Communication with Customers. It is really very nice mobile telephony service..